Voda is calling it quits. 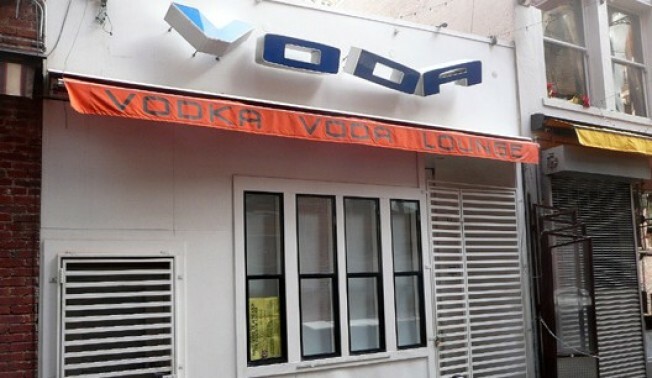 Belden Place: It took a little longer than originally anticipated, but the sale of Voda Vodka Lounge to Peter Snyderman (Elite Cafe) has finally gone through, and the city's only neon-lit vodka lounge recently served its last key lime martini. Now, Snyderman—along with co-owners (and neighbors) Olivier Azancot and Eric Klein of Plouf et al.—will move in with their upcoming American bar and grill restaurant, which is now called Trademark. But please, pour out a little jalapeno vodka for Voda at your earliest convenience.